Here you can talk about everything concerning keeping, breeding dartfrogs aso. Also sale, buy and trading with danish or foreigen visitors are possible. This forum is in English! In my experience all the hot norwegian girls are in Fårup Sommerland (denmark) in the summer! Believe me theres enough to go around. hello all I am from the US so I guess the other side of the other side of the pond. 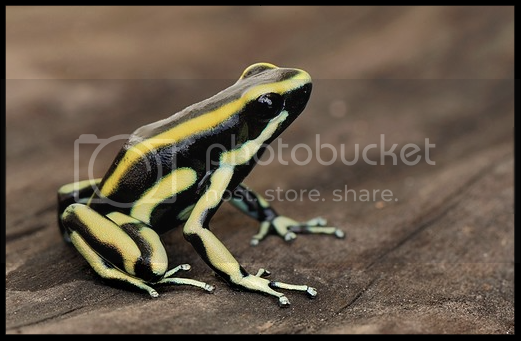 All I have to say if Foff you are a dendrobate God how are you getting your Histo's to get froglets. haha thanks! Well the trix is quite simple... all you need is luck and great animals! I keep my bullseye pair in an old 128 l terrarium with lots of dry periods, lots of plants, lots of filmcannists and the i almost flush them out in the rain periods! I'm Mathieu Woldhuis, for several years already in the hobby. I'm a boardmember of Dendrobatidae Nederland, the dutch frog society. I organise twice a year the dutch frogdays. Further i'm one of the editors of DN magazine, the dendrobatic magazine which comes out four times a year. Great to have you here! And thanks for posting the add for Dutch Frogday! And great work on both dendrobatidae.nl and the DN magazine! welcome to the danish dartfrog community! Most of the forum is in danish but this section is for you guys to have a chance to communicate with us! Greetings Kristoffer and Morten ! I am happy to be invited to your excellent forum but unfortunately, you both know and use 'better' English than I can manage Danish - Undskyld ! We just concluded our annual 'American Frog Day' , and this particular one was held in Staten Island New York. I had a great time and there were over 150 fellow hobbyist, most of which sold frogs or vended supplies and attended the lectures at the Staten Island Zoo. I invite you all to come over and visit for the next one ! Just for info, kristoffer started this forum back in 2005, but unfortunately he stopped in the frog hobby years ago, today it myself and my colleague Mads jensen who owns Dendromania.dk. Simon Bomholt has faithfully be dendromanias super-manage from the stard to now, and we are all three very active and engaged in the frog hobby. I'm Paddy, from England but I live in Vejle now. I have kept d. Auratus, d.tinctorius and e.anthonyi before, but that was 10 years ago. I am starting again in Denmark now... I'm not sure how active this forum still is but hopefully I will meet some like minded people here! I'm currently setting up a 18 x 18 x 24 viv with an aim to to get a thumbnail (ranitomeya) species. My first question would be, who breeds thumbnails in Denmark? And I've never been to Hamm, but would that be a good place to buy in March? Thanks! I look forward to talking with you. I'm learning Danish very slowly!